We are SF's oldest operating pedicab company. Our roots go all the way back to the early 1980s when pedicabs first began in The City. Exploring San Francisco in a pedicab is truly the best way to go -- open air, the perfect strolling speed, and maximum comfort on a smooth sailing, mobile couch. 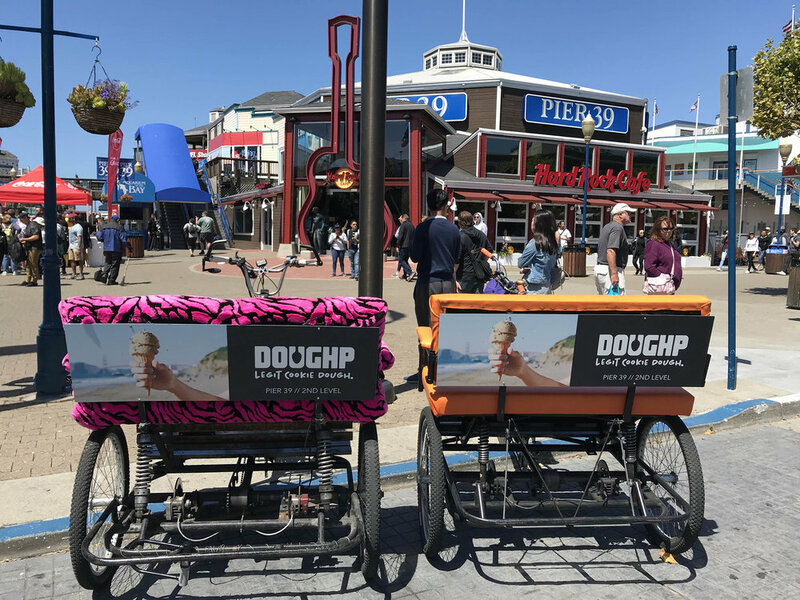 San Francisco Pedicab offers highly effective pedicab branding and advertising campaigns using the most unique pedicabs along with the most experienced drivers in the City. 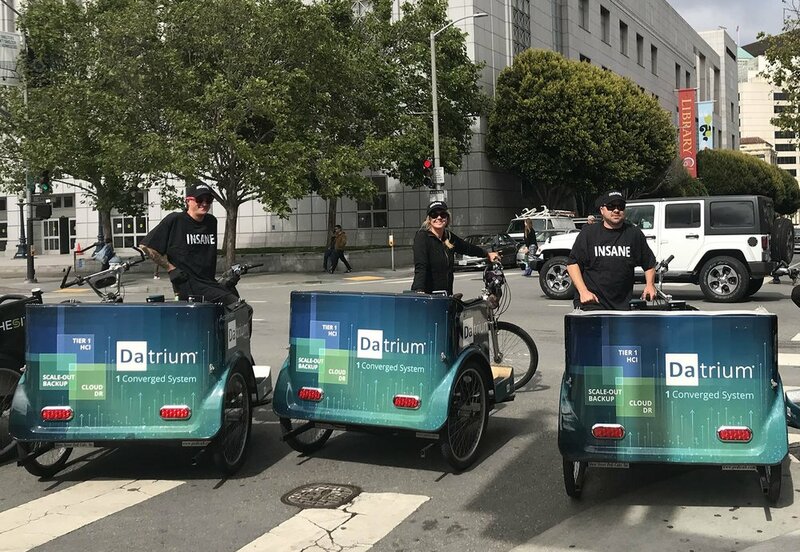 Dreamforce, Oracle OpenWorld, Moscone Center Conventions, or anywhere else -- Contact us to find out how to use fun, unique, useful, and highly visible pedicabs to promote your brand or business. The SF Brew Ride is a San Francisco brewery tour like no other. 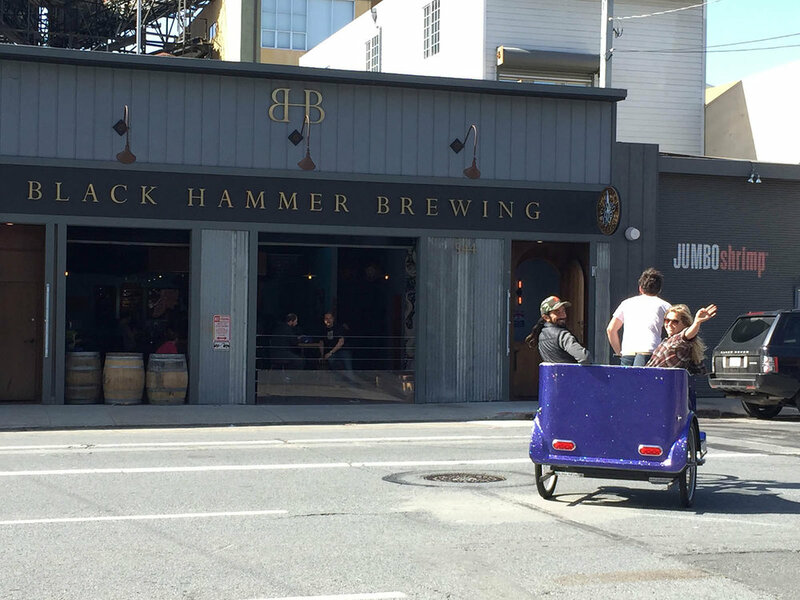 Our couch-on-wheels will whisk you through the downtown streets to three SoMa District breweries. Beer and beer savvy driver included. 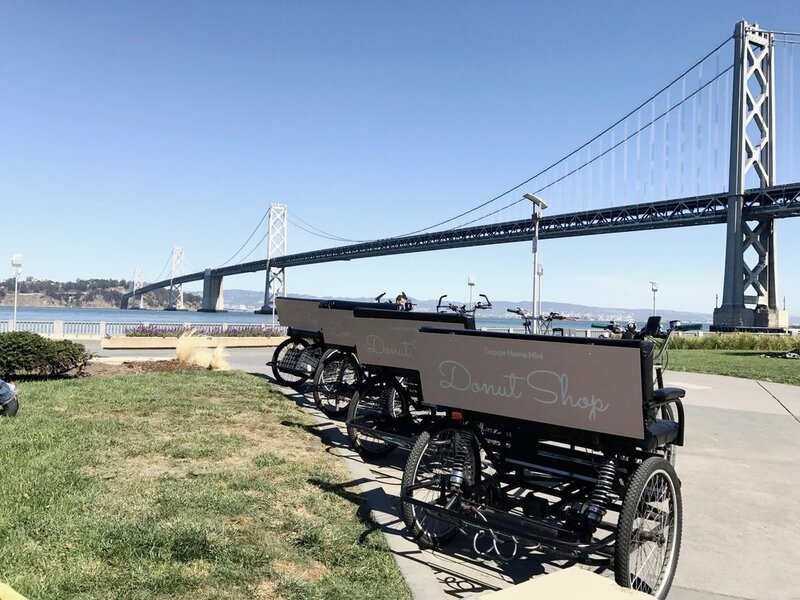 The history of pedicabs in San Francisco dates all the way back to 1980, and SF Pedicab is an extension of the first pedicab company -- Barbary Coast Pedicab. To learn more about San Francisco Pedicab history, as well as the other two companies in town - Cabrio Taxi Pedicabs & Golden Gate Pedicab - check out the history section. Thanks for stopping by -- see you on The Embarcadero!